No bees in this post, sorry. 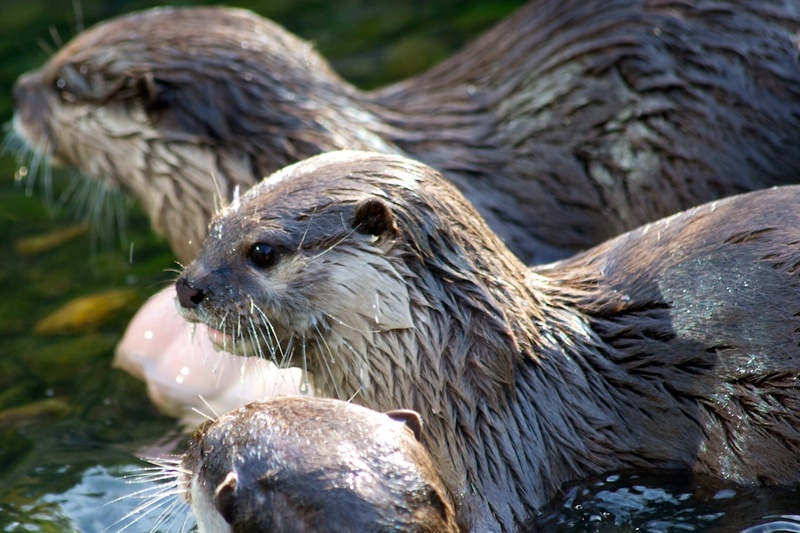 This weekend got madly busy and I didn’t go to see the bees, though I did meet several slow worms, a grass snake, lots of cute ducks and mock wrestling otters to make up for it, all at the London Wetland Centre in Barnes. 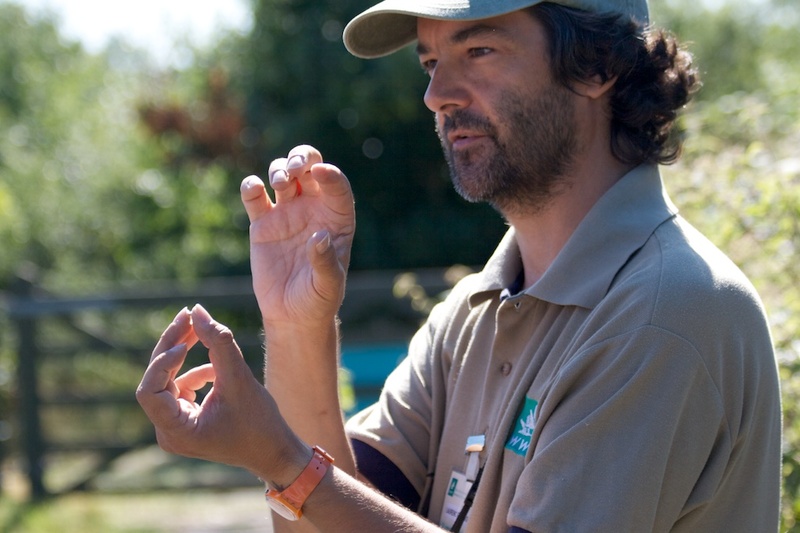 Laurence Arnold, one of the centre’s staff, took us on a guided reptile walk which I really recommend. All the photos below were taken by Drew Scott. Above is Laurence, showing us some skin shed by a slow worm. After dipping our shoes in a special solution and stepping over an electric fence, we walked along a high grassy bank usually inaccessible to the public. Up here the staff do weekly surveys of reptile numbers, by lifting up specially placed shelters made from squares of felt or corrugated iron. 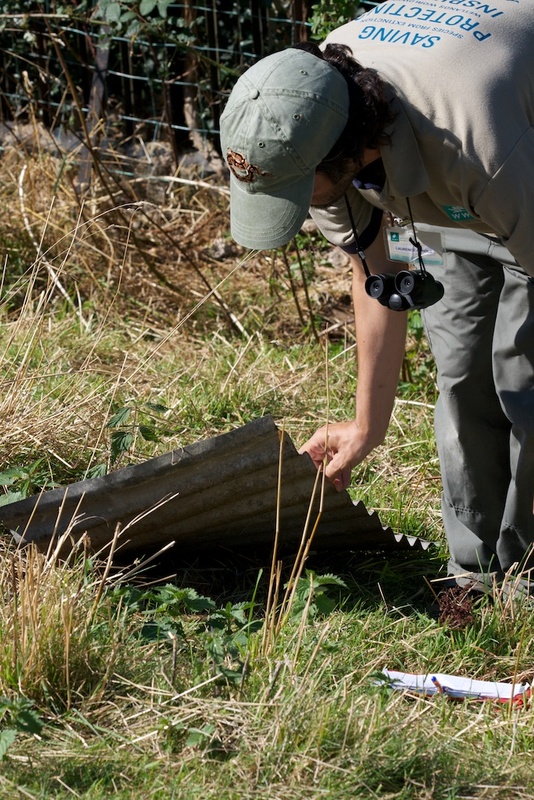 It didn’t take long before Laurence caught a wriggling slow worm under one of these shelters. She soon calmed down after he tickled her under the chin for a while. 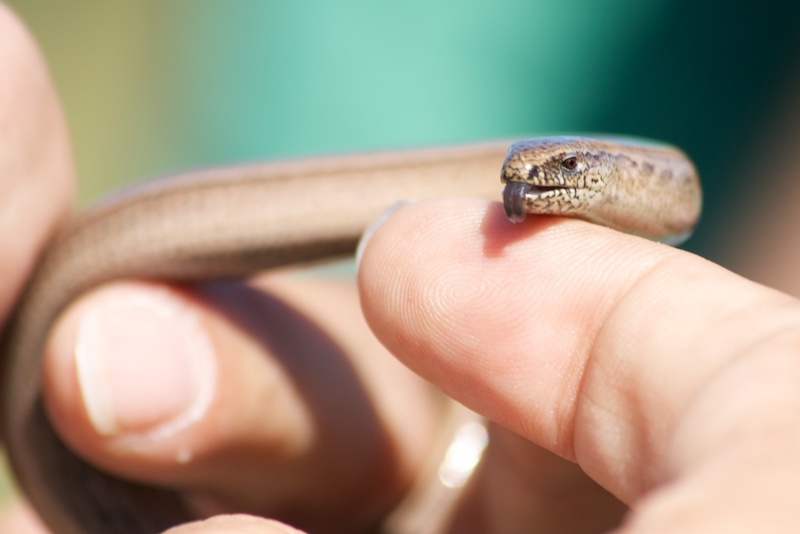 One of the ways to tell the difference between a slow worm and a snake is that the slow worms have eyelids, whereas snakes just have a clear fluid film to protect their eyes. You can see this when the slow worms blink. The way to distinguish between male and female slow worms is that males are all one colour, whereas females have a darker line along their undersides. They will eat anything they can get into their mouths, for instance slugs are a favourite treat (another reason not to use slug pellets). 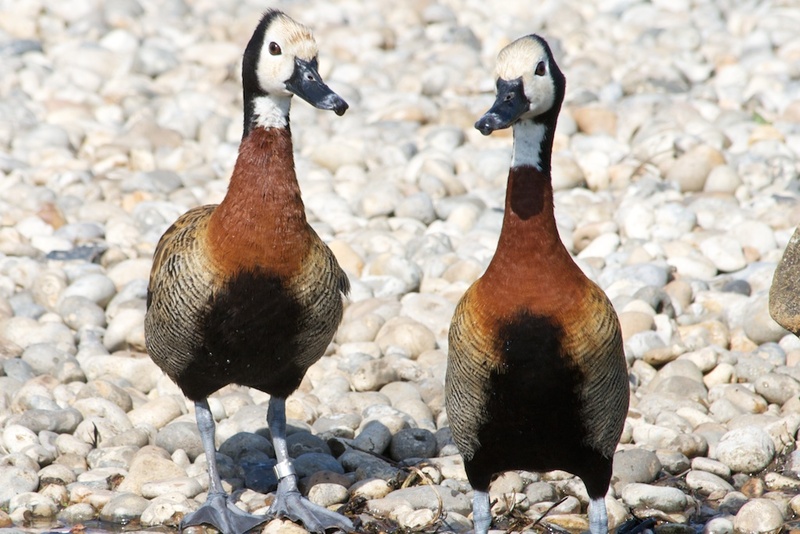 Mating takes place in spring, after which the females give birth to live young in September. Not all reptiles lay eggs, some give birth! Just beyond the grassy bank, outside the centre’s boundary, is a row of extremely posh houses. We saw plenty of swimming pools and conservatories. This brings the hazard of cats, who like to play with the slow worms. Birds are also keen on eating them. Luckily slow worms spend most of their time burrowed down close to the ground. Laurence also found a gorgeous grass snake! She produced lots of musk alarm scent as she writhed in his grip, trying to make herself seem unappetising. Laurence told us that he loves this musky snake scent, as for him it’s the smell of summer. Her tongue forked back and forth as she tried to make sense of all the human smells around her. I love the greeny blue pattern on her underside. I stroked her a little – she felt dry, not slimy. 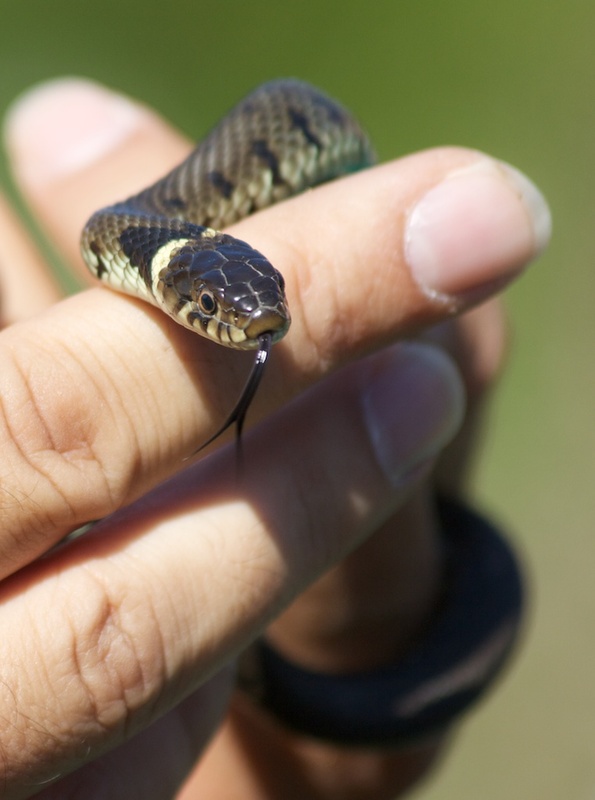 It felt special to meet a creature like this close up – I wouldn’t dare to pick up a snake I found in the wild! And I suspect I’d be way too slow. 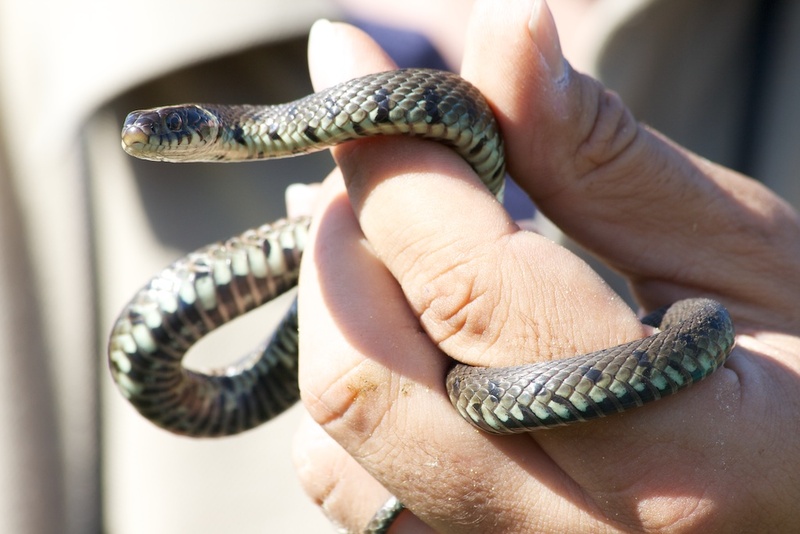 Of course, grass snakes can do us no harm beyond a nip. 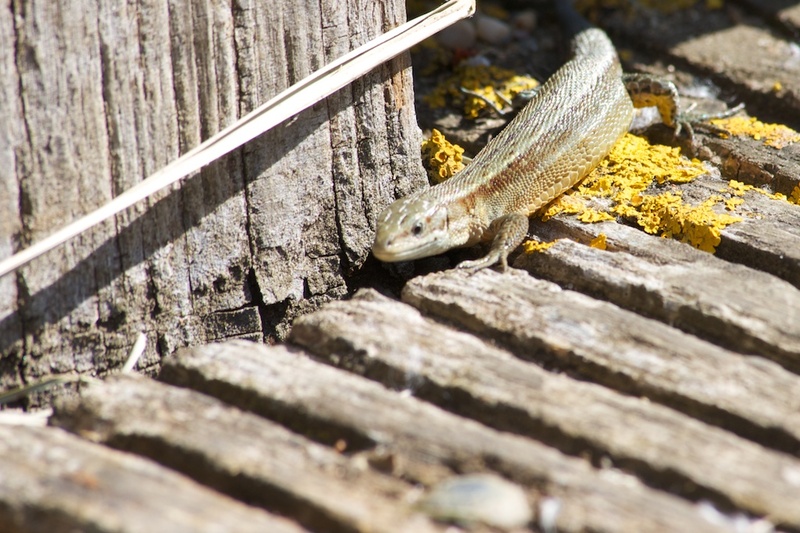 A spotting by Drew along the footpaths – a common lizard. They like to burrow into the crevices in the wood. Laurence taught us so much, unfortunately much more than I can possibly try to write down here! After his brilliant walk ended, we ate some lunch and went on to visit the birds. I couldn’t resist Drew’s photo of the pair above. 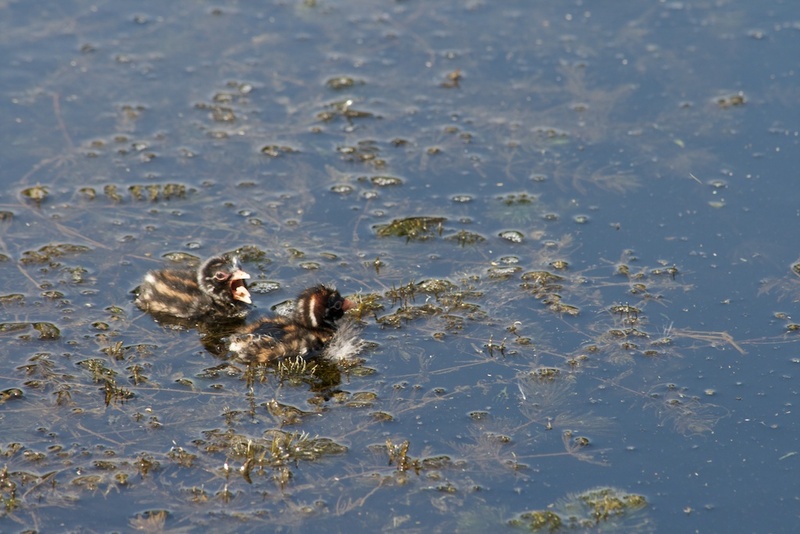 I think these are Little Grebe young. They stayed on the surface while mum dived for food, quacking frantically when she emerged. Occasionally she gave them some, but mostly her dives seemed unsuccessful. Where did the ducklings go? Next, the most amazing thing happened. Where did the ducklings (or should I say grebelings?) go?! Look closely at the photo above. They hopped on mum’s back! She lifted up her wings and let them nestle under there. Occasionally a waggling foot or an inquisitive little head popped out. So cute. 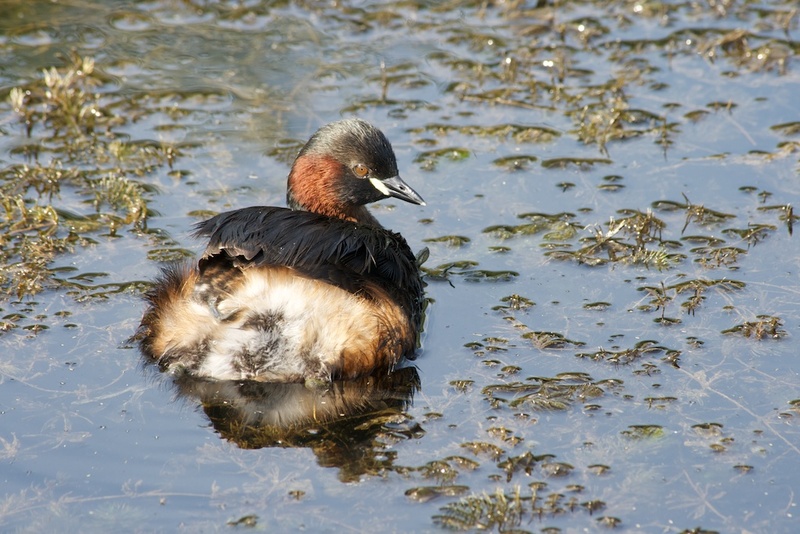 EDIT: I have since come across this great blog post by Tricia – ‘Dragons, Very Little Grebes and Otters‘ – Tricia seems to have been there a day before us and has gone one (or should I say two?) 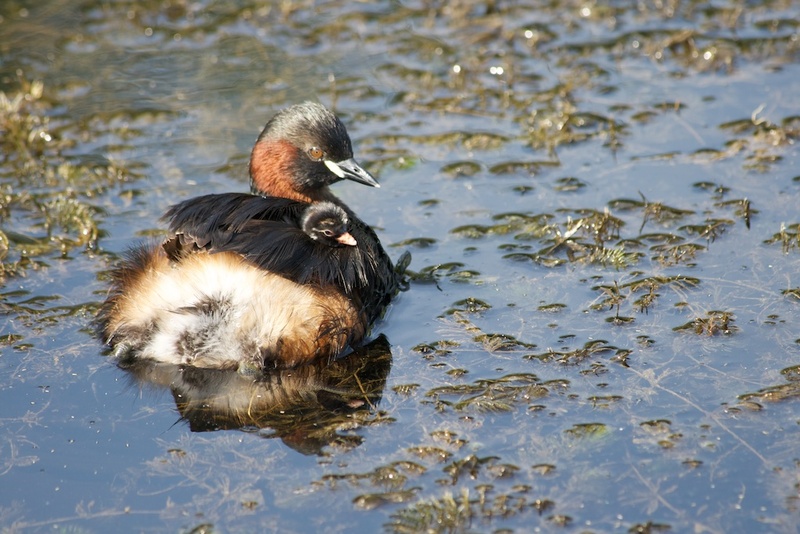 better by managing to get photos of three little grebe chicks on mum’s back! I need help identifying this gorgeous dragonfly, any ideas please? I’m wondering about it being a variety of Migrant Hawker. 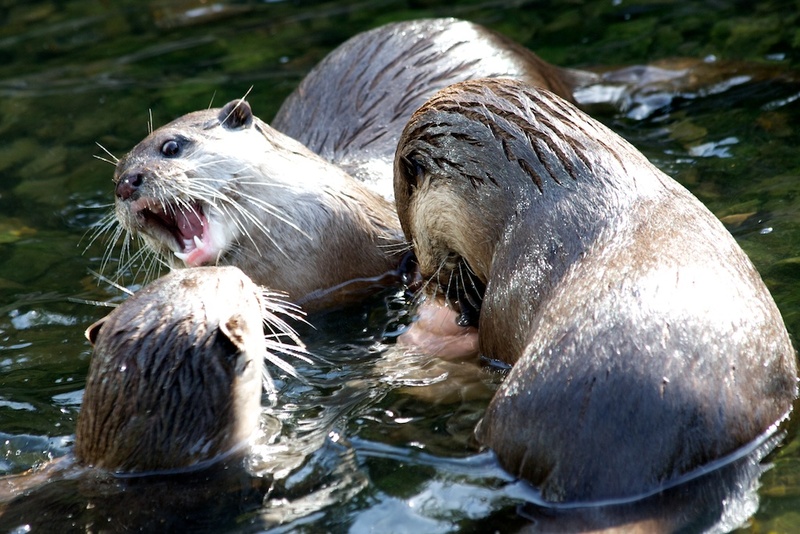 I possibly saved the best for last… the otters! A slinky new addition to the Wetlands Centre. The two pups were mock wrestling, rolling over each other, snapping and snorting as they had great fun playing with a rubber toy. Mum looked on and occasionally pinned a pup down if they got too naughty. Otters are the best. Well, the best mammals. (They don’t beat bees, obviously). Thanks for a lovely day out, London Wetlands Centre! Bee posting to resume next week. Thanks, Drew is very talented! They were so much fun to watch, I think you would like it there. They also do a bat walk at night, which is not so good for photo opportunities but is great if you like bats. Sorry I didn’t get a chance to look at the bees. Next weekend I can definitely go down and bring some sugar syrup. Wow, what a great day! We’re very lucky we’ve had a slow-worm in our garden and we sometimes see common lizards nearby. There’s otters too, but yet to see them. Can’t help with the dragonfly I’m afraid – do you have a photo of the markings on the back? Ooh, you’re lucky to have all those creatures around you! No photos of the markings on the dragonfly’s back, as it was sitting on a reed over water, so Drew could only photograph it from that angle. Do you know if I got the Little Grebes right? What great photographs, you are very lucky! Thanks! Drew had so many good ones, it was really hard choosing which ones to post. It is great to get up close to nature. Great photos. Yes, it’s good for the soul! I loved the photographs, they were all great but the baby duckling on the mother’s back was gorgeous, I’ve never seen that for real. 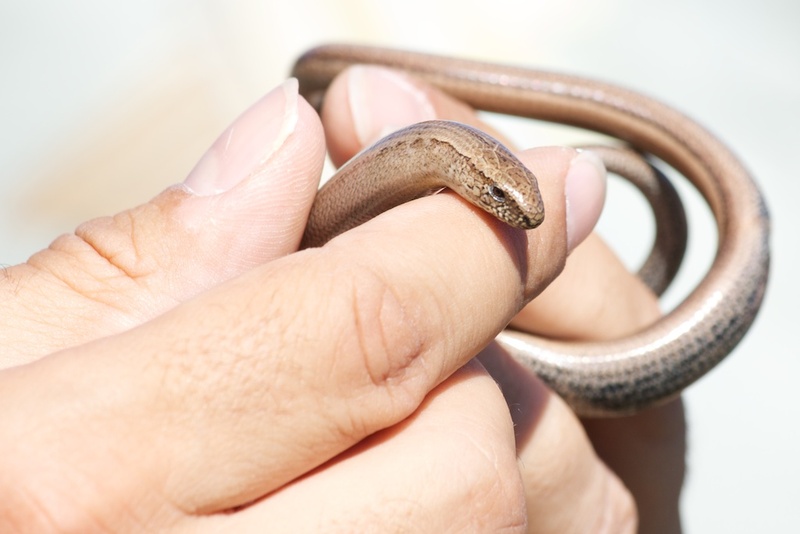 The slow-worm photographs take me back to when I was 10 and living in Portland, Dorset; I used to like catching them! I’d look for snakes and lizards under stones. 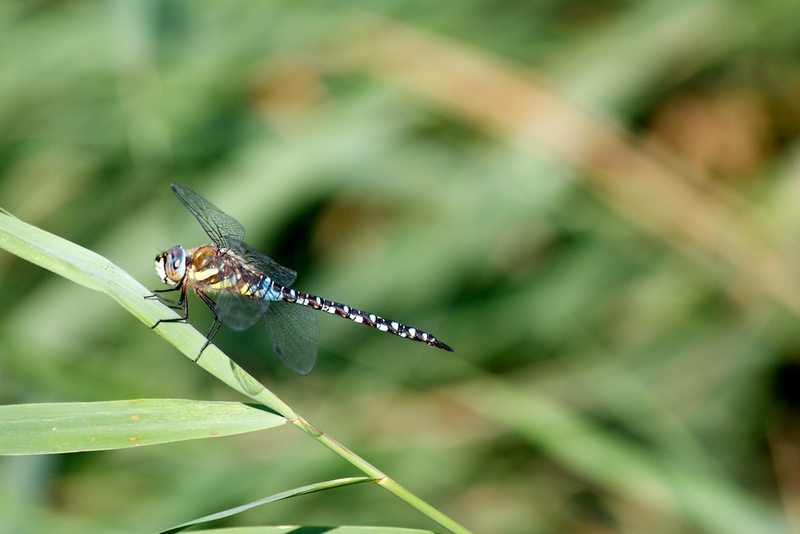 I think the dragonfly could be a common hawker because of the yellow markings on its side and its blue eyes. Check out the photograph at http://benrevell.co.uk/RevellPhotography/fauna/dragonfly-1.php. I was stunned when the little ones climbed up there! A very comfy solution. Mum sat there patiently, I was a bit worried she might continue her diving! I grew up in a town so didn’t get many opportunities to see more unusual creatures, it was a proper treat to meet them during the walk. Thanks for the dragonfly link, I think you are right. I’d never heard of a slow worm before. They’re just some verity of snake? Not a snake, a limbless reptile. Their eyelids and a few other features distinguish them from snakes, even though they look very similar! They’re not worms and they’re not slow either. They’re native to Europe and Asia, so you won’t meet one in the US. I very much loved this post Emily. Interest in every image. I’ve never seen a grass snake and I have spent most of my life in the countryside. Hopefully, this will change one day. Looking under logs might improve your chances 🙂 I’ve seen one swimming before, they like catching food in the water. They only need to eat 3-4 times a year so can be hiding away the rest of the time. What wonderful photos. I love the dragonfly especially. 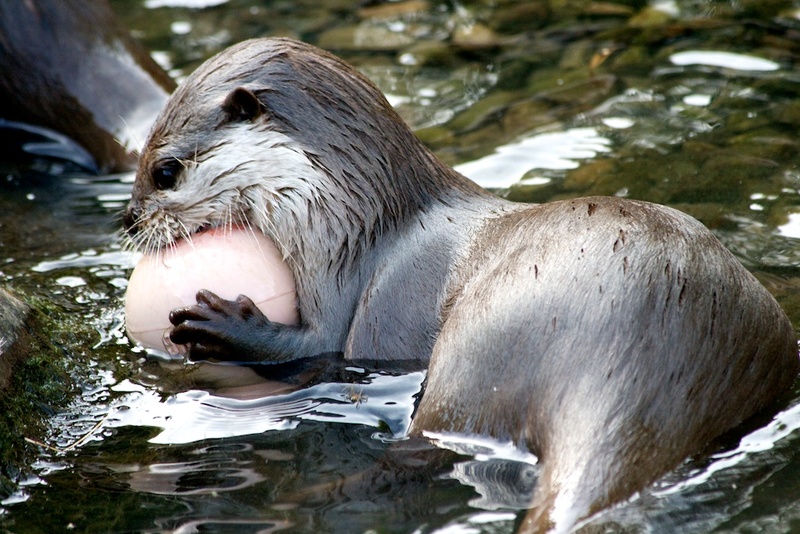 And those otters, playing ball! I’ve never met an otter. You are not afraid of snakes and bees – no wonder you were not afraid to leave a comment on a blog written by a dog! I hope one day you meet an otter! They are such playful animals. I was very happy to find a blog written by a dog – and why not, dogs have plenty of thoughts to offer the world! What wonderful photos and lovely descriptions! I learned so much just reading this post: we don’t have slow worms in North America, and I’ve never heard of them. I’m a great fan of reptiles and very much enjoyed the pictures of the grass snake and common lizard, too. We were in London last spring and visited the zoo, but I don’t recall seeing a lot of native critters there. 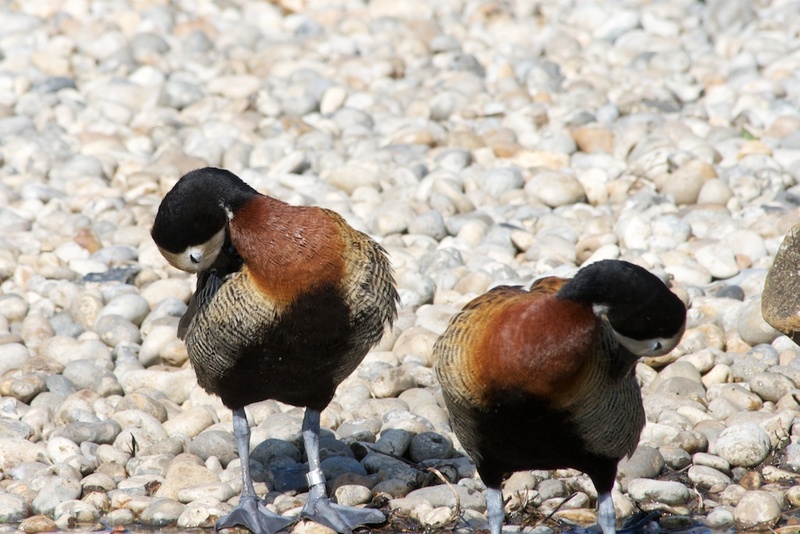 Next time (and there WILL be a next time because I fell in love with the place) we’ll be sure to visit the London Wetland Centre and get to know some of the indigenous fauna. Slow worms aren’t talked about much here and are pretty rare. I’d only ever seen one before. They’re lovely creatures and enjoy being tickled under the chin, which seems to calm them down. I don’t remember seeing many native creatures in London zoo either, apart from the mice and pigeons which find their way in! 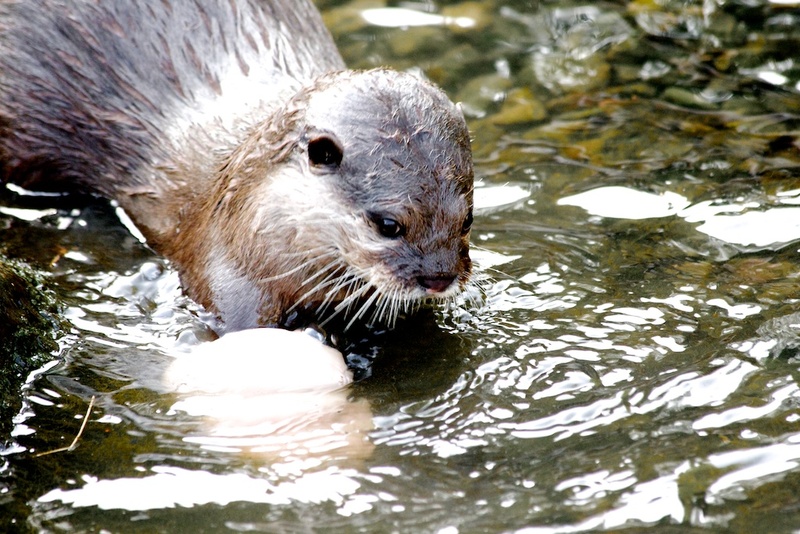 That would be brilliant if you come back and visit the Wetland Centre, it’s worth going for the otters alone! They also do bat tours if you fancy some night time walking.